Viva Haresh re-joins the scene and more fun added to the proceedings. 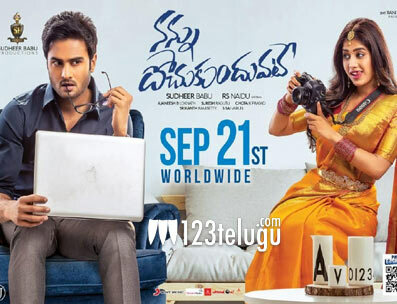 Post interval the film shifts to Vizag city. Noted actress Tulasi makes an entry as heroine's mom. First Half Update: So far, the film is refreshing and nicely handled. 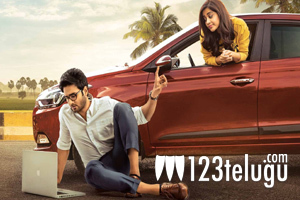 Nabha Natesh shines in her role. Have to wait and watch how the latter half turns out to be. Meghana is a short film heroine and Viva Shanmukh has been introduced as a filmmaker. Few funny scenes are ongoing on between Meghana and Sudarshan. Film shifts back to the city. Heroine Nabha Natesh makes a simple entry as Meghana. Young comedian Sudarshan also joins the scene as Sudheer's friend. 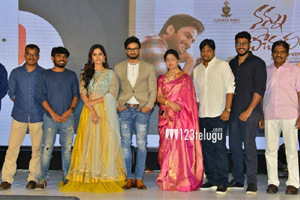 Opening shot on hero Sudheer Babu. He is narrating his story. The film went back to flashback mood. 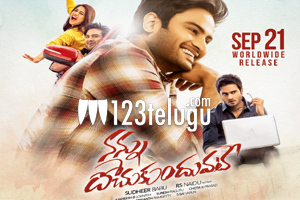 Sudheer introduced as corporate office head Karthik.